At DMT meetings, MSK experts from different disciplines come together to discuss treatment options for challenging cases. As part of the review, medical details and test results are shared; here, surgical oncologist Peter Kingham views a CT scan. Our top cancer specialists come together to consult on complex cases at weekly Disease Management Team meetings. Patients and their loved ones often express gratitude to doctors, nurses, and other medical staff for the outstanding care they’ve received during their daily treatment. But patients also tell me repeatedly that they chose Memorial Sloan Kettering because of something that takes place behind the scenes — our weekly Disease Management Team (DMT) meetings. 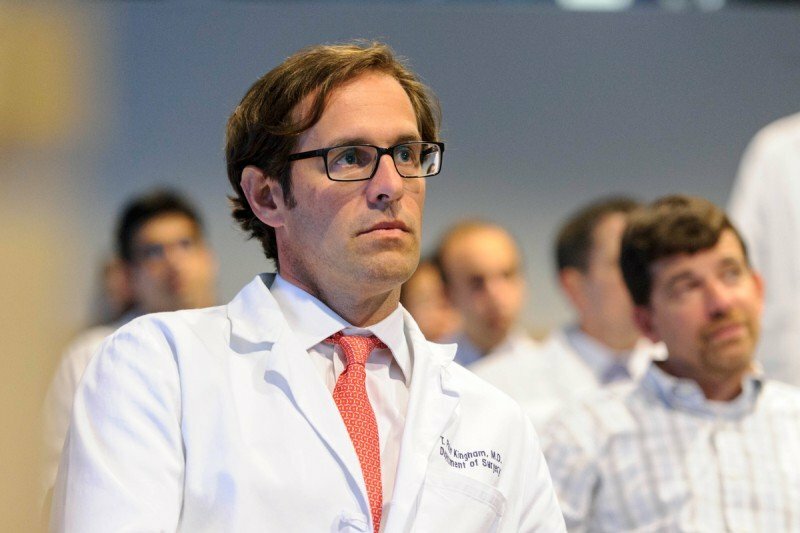 At these focused meetings, MSK specialists from a variety of disciplines — including medical oncologists, surgeons, radiation oncologists, radiologists, gastroenterologists, and pathologists — consult over patients’ diagnostic and treatment information to decide on the best course of action. 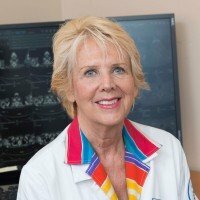 What makes these meetings unique is that there are ten to 20 world leaders in every type of cancer giving direct, incisive attention to individual patient cases. As someone whose expertise is in the surgical treatment of patients with liver, gallbladder, bile duct, and pancreas tumors, it’s a privilege to benefit from the insights of top specialists in all these fields as we evaluate complex cases. Coming together every week to discuss possible treatment plans allows us to develop a deep trust for one another’s judgment and an ability to recognize how a patient will be best served. All our teams of experts on different cancers hold such meetings. The Hepatopancreatobiliary Service, to which I belong, usually convenes on Thursday afternoons. At the meetings, each physician usually picks several of his or her own patient cases to present to the team. Typically, a surgical fellow explains the details of the case to the group while a CT scan is projected on a screen so all attendees can see the extent and location of the cancer. Everyone then discusses the best way to proceed. I think this collaborative process can best be illustrated by an example: At a recent DMT meeting, surgery fellow Skye Mayo presented one of my patients, a middle-aged man suspected of having intrahepatic cholangiocarcinoma (ICC). This relatively rare form of liver cancer usually arises from bile duct cells within the liver. The CT scan showed cancer in the left lobe of the liver, but it was hard to tell if it was a single large tumor or several small adjacent ones. In addition, a lymph node at the base of the liver was quite enlarged, suggesting the cancer might have spread there. In patients with ICC, we ask several questions: Is the cancer confined to the liver, or has it spread outside, or metastasized? Is it a single tumor or multiple tumors? If it’s a single tumor, can it be safely resected, or surgically removed? As we viewed the scan with our expert liver radiologist, Richard K. Do, I sought everyone’s opinion on these questions. William Jarnagin, the head of our service, cautioned against removing nearly half of the liver — which is what a resection would require — if this was actually multiple tumors. He felt there was a high enough chance of the cancer returning in the rest of the liver, and the risk of surgery was not in the patient’s best interest. We’re always mindful of weighing the risks and benefits of treatments, which in this case could have included bleeding, infection, and liver failure, among other complications. Michael D’Angelica, another surgeon, said the lymph node looked cancerous to him, which suggested that the disease had already begun to metastasize. In metastatic patients, surgery to remove the primary tumor is usually not as effective because there is a high risk of the cancer returning. Surgeon Peter Allen agreed the scan indicated that the lymph nodes were very suspicious for having cancer in them. These assessments confirmed for me that resection at this point was not the way to go. We had to consider a different line of attack. Given these details, I wanted to know what others thought about alternative approaches. One was to give the patient systemic (whole-body) chemotherapy, which can help shrink tumors and stop cancer from spreading, and reassess with another CT scan in three months. If at that point we could determine the cancer was confined to a single tumor, I could remove it. 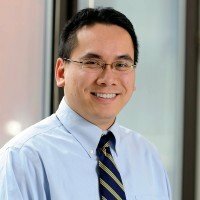 If the scan revealed multiple tumors, we could deliver chemotherapy through hepatic arterial infusion, a technique that delivers a high dose of chemotherapy drugs directly to the liver via the hepatic artery — the main source of blood and nutrients for liver tumors — through a small pump implanted under the skin in the lower abdomen. Nancy Kemeny, a medical oncologist, brought up the second option: The patient could enroll in a clinical trial run by her and Dr. Jarnagin in which the pump is implanted as the first step, and the patient receives one type of chemotherapy directly to the liver and a different type of chemotherapy systemically. This combination approach, while still under investigation, has had improved results in some patients over the conventional method of giving chemotherapy through a single route. My colleagues and I agreed that these were the best two options for this patient. Later, I presented this choice to him, explaining what each option entailed (including risks and side effects) and what was known at that point about their possible effectiveness. He chose to enroll in the clinical trial, and I supported his choice. The best-case scenario would be that the chemotherapy prevented the disease from spreading and shrunk the tumor so that one day we might be able to resect it safely. As usual, the discussion enabled me to feel confident we had narrowed the treatment choices down to the best options. I was able to draw upon the proficiency of specialists who, combined, had more than a century of experience in treating this disease. This type of input makes these meetings invaluable to the superior care we provide at MSK. While medical situations can always change, the DMT model allows our doctors to stay fluid and adjust approaches as needed. It sets us apart from other institutions because patients benefit from the skill and experience of not just one outstanding doctor, but an entire team of experts who work together in their best interests. Dr. Kingham performed a liver resection on me back in July 0f 2011. I had neuroendocrine tumors which had attached to the bile duct. He did an amazing job. In 2013 I had a recurrence of the cancer and at that time, it was decided that I would benefit from an embolisation and oblation of the tumor. That was performed by the interventional radiologist and it was a success. I owe a great deal to Dr. Kingham and his wonderful staff especially nurse Anna. I am happy to see this article regarding Dr. Kingham and his team approach. Keep up the wonderful work so that others can benefit from your expertise like I did and still continue to do so. My husband has a poorly differentiated adenocarcinoma with cignet ring features, 1 to 3 lymph node are involved. Everything I've read about this type of pathology indicates dismal prognosis, however his doctor says he will be treating to cure and There is nothing rare about his disease. I realize that info on the internet maybe outdated, so can anyone please give me a realistic picture on cignet ring adenocarcinoma prognosis? Lia, thank you for reaching out. Unfortunately, we cannot answer personal medical questions on our blog, including commenting on a prognosis (each individual case is unique and is affected by a large number of factors). 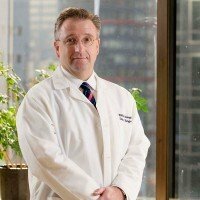 However, if your husband is interested in seeking a consultation or second opinion from a Memorial Sloan Kettering physician, please contact our Physician Referral Service at 800-525-2225 or go to http://www.mskcc.org/cancer-care/appointment. my son had whipple surgery in sept, very successful, pet scan showed no cancer in his body in october.ct scan as of 1-8-2015 shows a mass bigger than the one removed in head of pancreatus.also cysts on both kidneys.history retinoblastoma at age two, treated at columbia presbyterian, sloan kettering and new york hospital,age 14 osteocarcoma/ lung cancer on both sides,age 36 bladder cancer,after removal and new bladder made, scans show again no cancer in body, age 38 whipple procedure in september present three months later large mass in head of pancreaus.would it be oporable or treatable? Tenna, we are sorry about your son’s diagnosis. If you would like to make an appointment or consultation with a Memorial Sloan Kettering physician, please call our Physician Referral Service at 800-525-2225 or go to http://www.mskcc.org/cancer-care/appointment. Thanks for your comment. Liver and Lung Mets. He continues to see Dr Kemeny every three months, We love them all. Great Doctors and even Greater People! Thank you! Dear Julia, we are glad to know that Pete has felt well-cared for by his physicians at MSK. Thank you for sharing your kind words on our blog! My family and I are grateful to Dr. Peter Kingham, who successfully recommended and performed a Whipple procedure on me in November, 2014. After two serious pancreatitis attacks, it was his diagnosis, confidence and kindness which convinced me to have this operation. As a result, they found gallbladder cancer, which was removed. Today, I am alive and well because of Peter's expertise and advice. Thanks to him and his team, especially Dr. D'Angelica, because I am still cancer free... 3+ yrs. later. We am so grateful! Dear Mary, we’re so glad to hear you’re doing well. We will pass your message along to Dr. Kingham and Dr. D’Angelica. Thank you for your comment, and best wishes to you. I have stage 4 liver cancer. it spread to one rib. Ineligible for liver transplant. Taking Nevar chemo drugs. Tumors continue to spread. Tumors are 8 centimeters and 3 centimeters. I w am 53 yrs old and want to die and go to hospice. Am I giving up too soon? I am too weak to get out of bed. Dear Maryann, we are so very sorry to hear you are going through this. 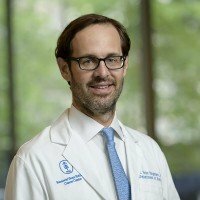 If you would like to speak to someone at MSK about whether there may be other treatment options available, you can call 800-525-2225 or go to https://www.mskcc.org/experience/become-patient/appointment for more information on making an appointment. Thank you for your comment, and best wishes to you. Any history and news about PC? Peritoneal Carcinnomatosis? new treatments ? other means ? 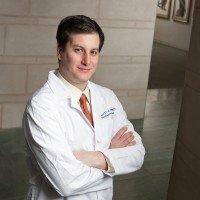 Dear Joseph, MSK does not currently have any clinical trials for this type of cancer, but patients with these tumors may quality for a “basket study,” in which treatment is based on the mutations in the tumor rather than where it originated in the body. If you are interested in learning more, you can call 800-525-2225 or go to https://www.mskcc.org/experience/become-patient/appointment for more information on making an appointment. You may also wish to reach out to the National Cancer Institute’s Cancer Information Service, which can be reached at 800-4CANCER. Thank you for your comment, and best wishes to you.